For those of you who have taken an A&P course (or are taking one right now), you know that before you get to learning about the body you need to learn how to talk about the body. Most A&P courses begin with positions and directionals. I’m going to give you the rundown. Stay tuned for part two, featuring planes and cavities! How many of you have used our apps or at least seen the models and thought, “Boy, that body looks awfully stiff in that one position all the time”? Which, okay, is true. 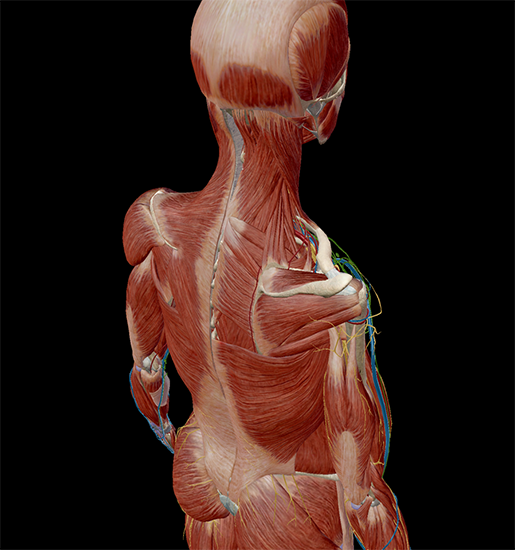 But there’s a reason our 3D body models (I affectionately call them Brenda and Paul) look stiff as a board—it’s the position in which we study the body. Anatomical position is the description of any region or part of the body in a specific stance. 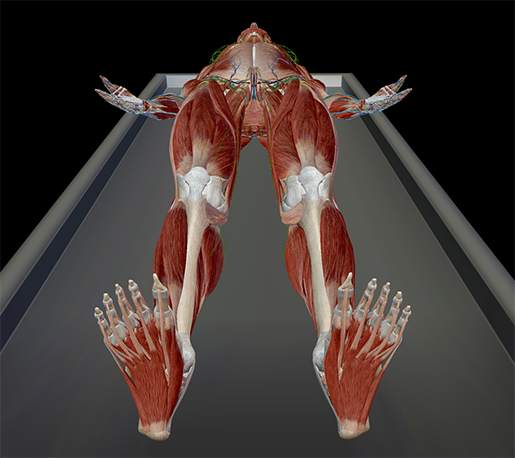 In the anatomical position, the body is upright, directly facing the observer, feet flat and directed forward. The upper limbs are at the body’s sides with the palms facing forward. 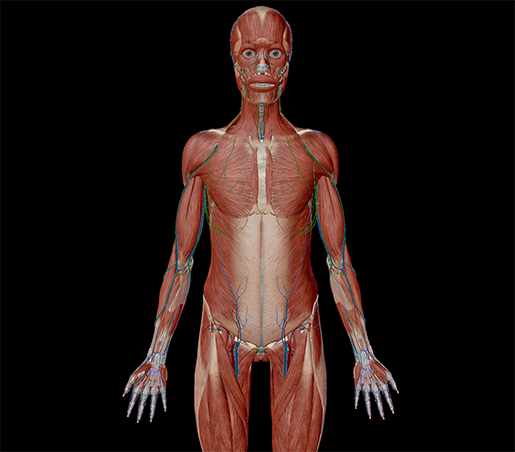 You’ve probably seen all sorts of pictures of the body in your A&P textbooks that look like this. In my college A&P text, right there in the first few pages, every body system was shown in anatomical position. This stance should be very familiar to you. If not, it will be by the time you’re through your first two weeks of A&P. If the anatomical position is placed face-down, it is in the prone position. 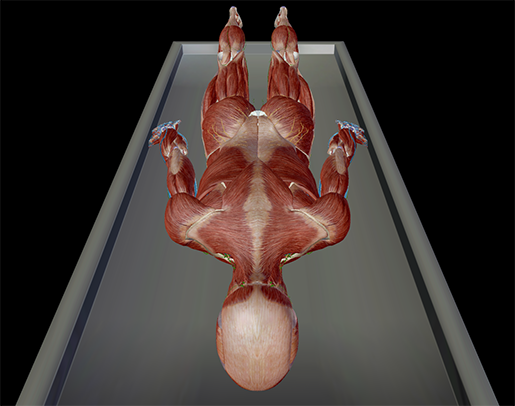 If the anatomical position is placed face-up, it is in the supine position. Imagine that when you’re studying a (correctly anatomically positioned) body you’re looking at a map. Like you use the cardinal directions to explain the location of certain regions (north, northwest, southeast, etc. 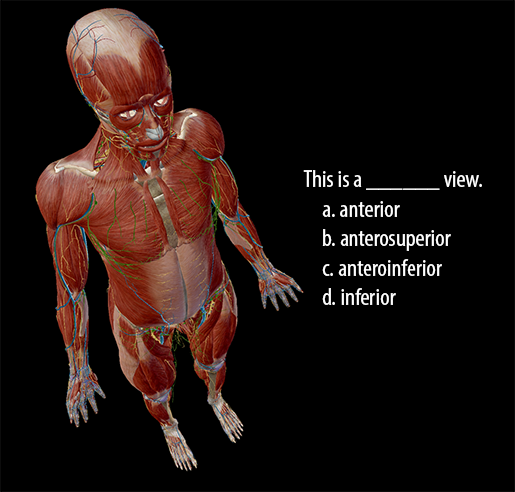 ), you use directional terms to describe the regions of the body. With me so far? No? Okay, let’s do a practice one. Don’t be afraid to refer to the chart before you answer. If you answered B) anterosuperior, you’re right! Remember, the anterior is the front view and the superior is the top view—combine the two and you’ve got yourself a bird’s-eye view of the front of the body. And there you have it: a crash course in anatomical position and directional terms. You can also download all this content (and more!) in our free eBook. Stay tuned for part two on planes and cavities!